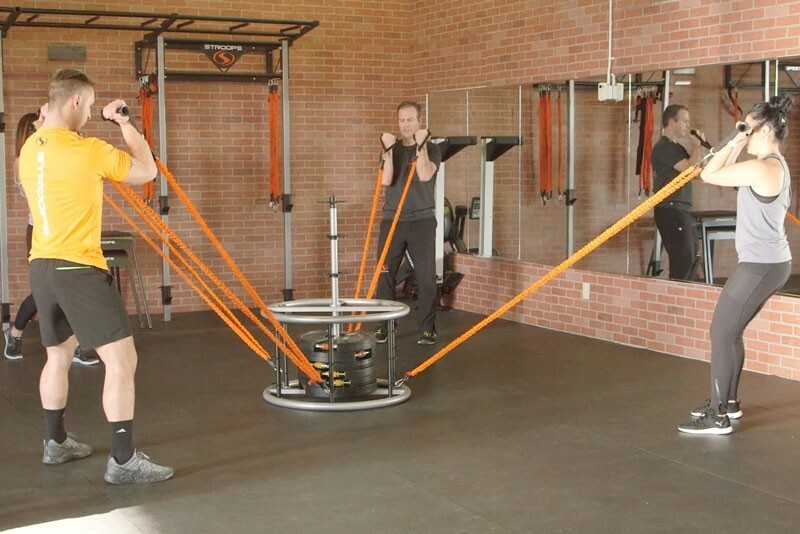 The Revolution is a premium group fitness anchor for Stroops Slastix bands. 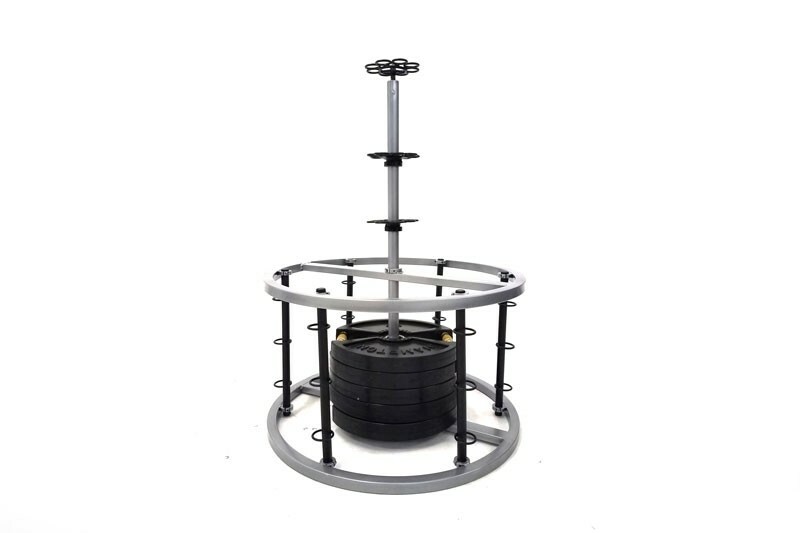 It features a spinning top, multi-height connection points, and a rollaway design for easy storage. 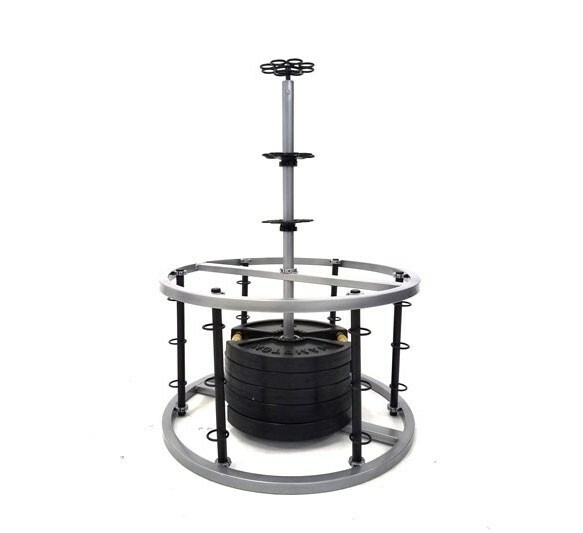 The spinning top allows exercises to be performed in a full 360 degrees around the anchor, making for a truly unique workout experience. 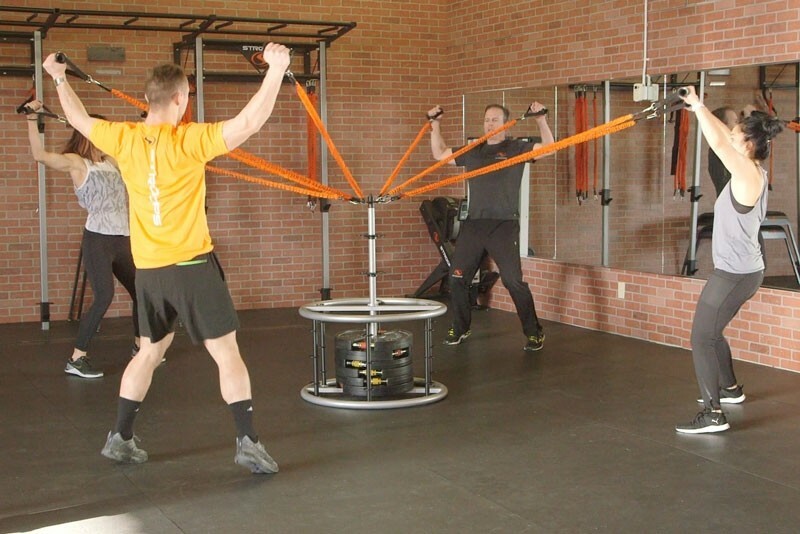 The Revolution holds up to nine weight plates to keep it in place and can be assembled with one person.